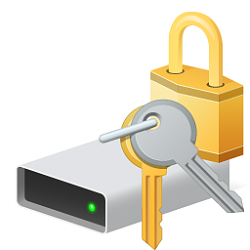 If you lost or don't know your BitLocker key (ex: password, PIN, USB) but you have your BitLocker recovery key for an encrypted OS, fixed, or removable drive, you can use that recovery key to unlock your drive. The BitLocker recovery key is a 48-digit number stored in your computer. Look in places you keep important papers. Plug the USB flash drive in to your locked PC and follow the instructions. If you saved the key as a text file on the flash drive, use a different computer to read the text file. You can check your OneDrive or Microsoft account online on any computer or phone to see all of your BitLocker recover keys for drives. Locate and open the file to read the text file.